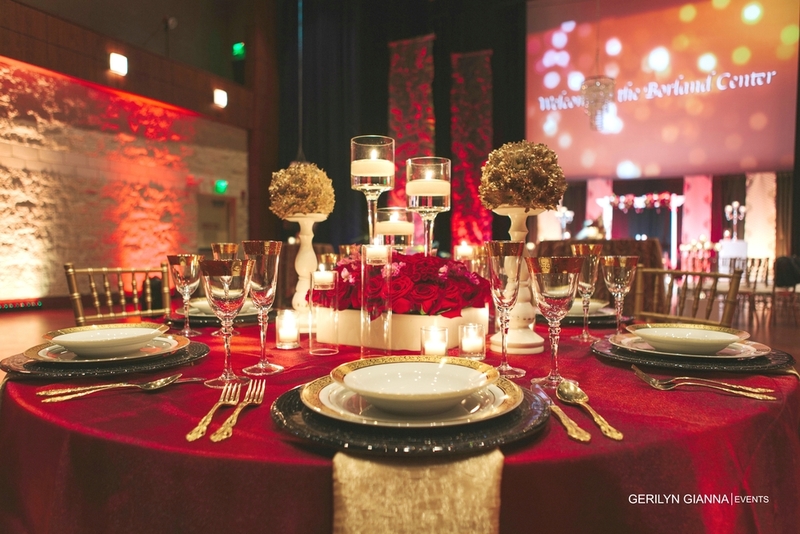 Rich reds and golds are the backdrop for this modern theater setting. Black charger plates sit under beautiful gold rimmed plates with gold table settings. White floral vessels are used to house gorgeous red rose centerpieces with pink accents and white pillars are used to hold pomander balls made from real carnations in gold. 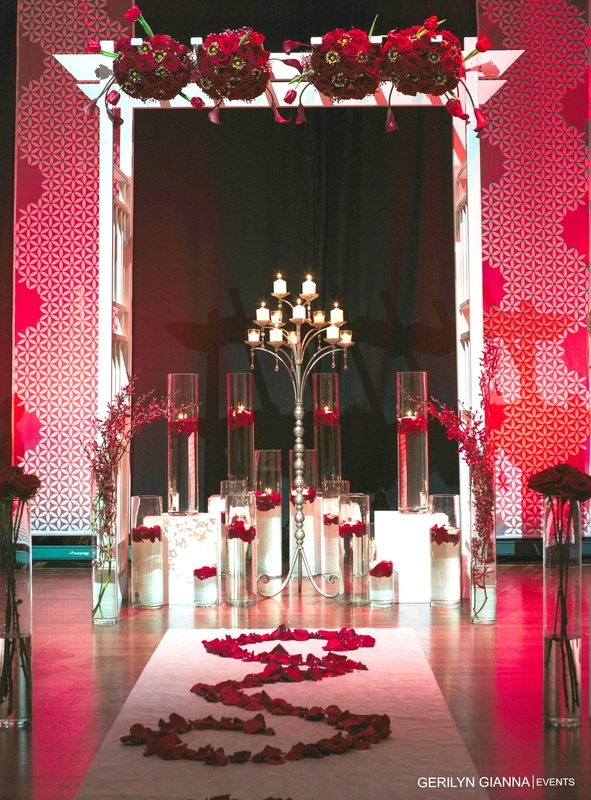 Hanging crystal chandeliers attract your attention aware from the hard theater ceiling and hanging backdrops lend perfect for red up lighting to bring texture. The main highlight of the night was the floral art piece hanging from the ceiling over the dining table. Using 500 red rose with gold accents, we created a 3 foot diameter hanging ball to the amazement of all the guests.